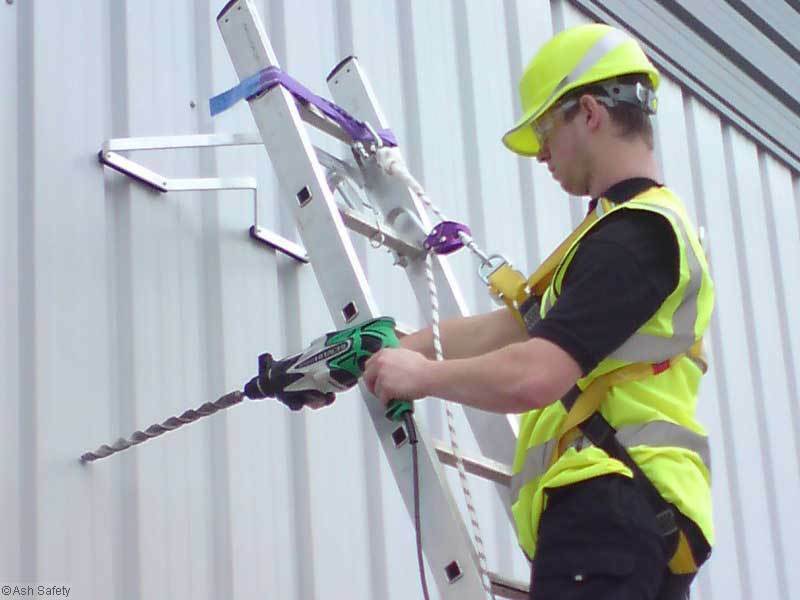 The Ash Ladder Set offers a simple solution to a third point of contact leaving both hands free to operate hand tools. 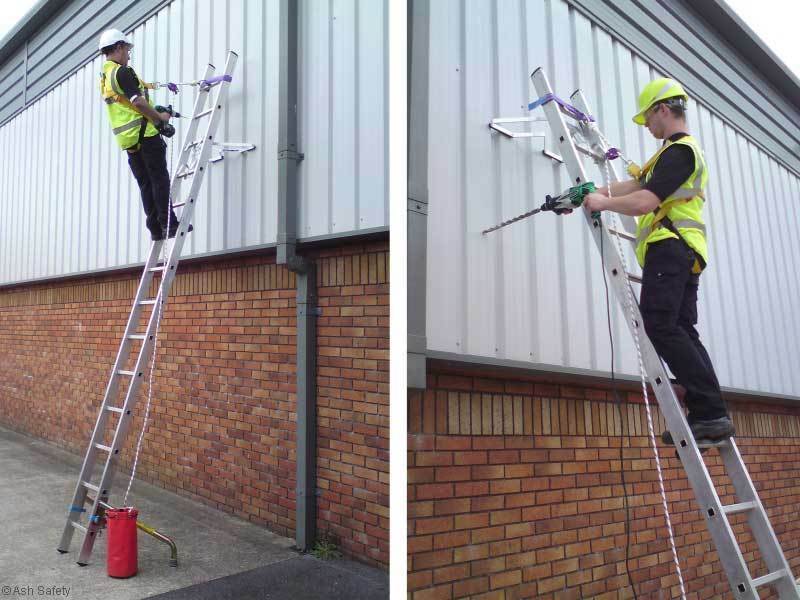 The set adjust simply and fits almost any make of ladder whilst being easy to use. 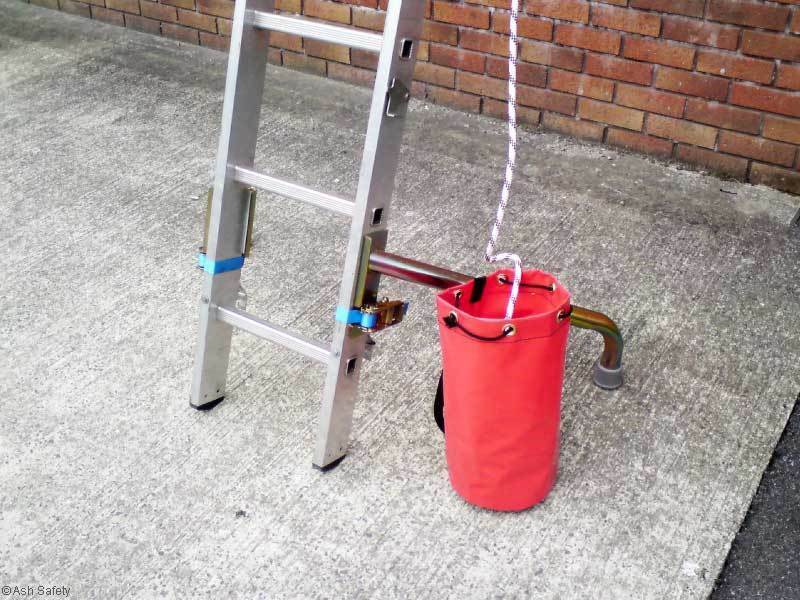 The ladder stand off accommodates for pipe work and corners of building allowing for three different positions. Stabilisers offer increased stability and the rope strop harness and connector come in a handy storage bag. 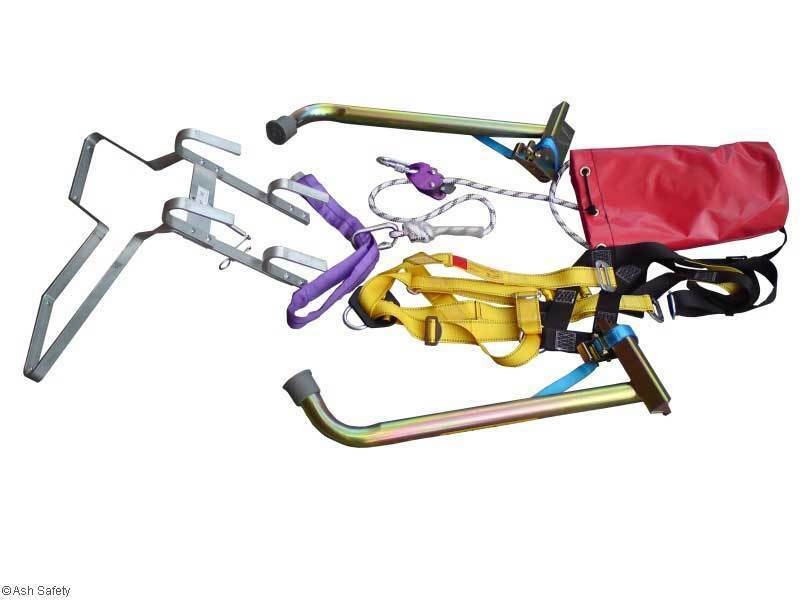 The set consists of; one twin point fully body harness, 1 x 10 meter rope (only a 9 meter ladder maximum should be used), 1 x 1000kg 0.5 meter endless sling, 1 x rope rocker, 2 x screw gate karabiners, one transit bag, on pair of ladder stabilisers and one ladder stand off.